The sweeping views overlooking the Nashua River Valley make the Fruitlands Museum one of the most sought after event venues in Massachusetts. Located just 30 miles from downtown Boston, the Museum offers guests the chance to enjoy the natural beauty of rural Massachusetts in a convenient and accessible setting. Guests are immediately welcomed with stunning views of local orchards, hay fields, and hardwood forests as they enter the Museum from the road atop Prospect Hill. To learn more about Fruitlands Museum, click here. The tent at Fruitlands can accommodate parties of up to 192 and is situated on a brick patio on the side of the hill allowing guests to enjoy the natural beauty of the landscape. The garden adjacent to the tea room and tent is a popular site for wedding ceremonies, with expansive lawns in the foreground and rolling hills in the background. Fruitlands Museum maintains a seasonal tent complete with beautiful chandeliers, removable walls, and large windows. This tent is included in the rental and is set on a large patio overlooking the Nashua River Valley. Ceremonies may be held on the lawn adjacent to the majestic Elm Tree featuring unsurpassed views of the Nashua River Valley, Mount Wachusett, Mount Manadnock, and Mt. Watatic. The historic Prospect House is adjacent to the tent, and serves as the perfect location to stage your bar, serve appetizers, or display your wedding cake. The Side Lawn at Fruitlands is the perfect location for lawn games or cocktail hour. For smaller weddings, the area can be used for ceremonies as well. 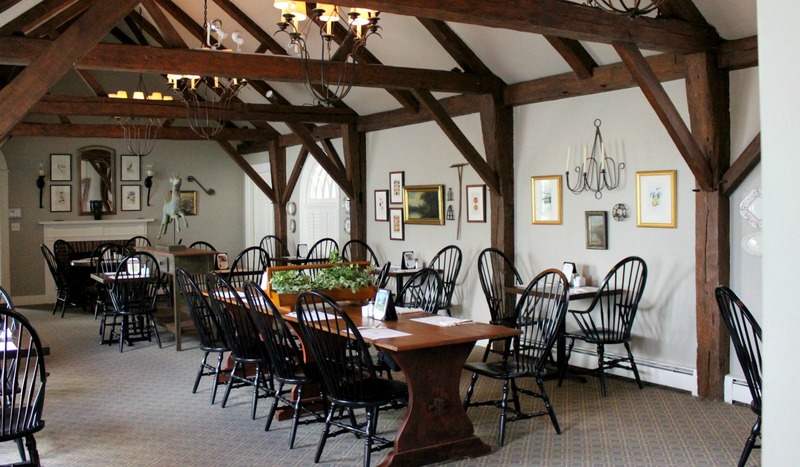 The Fruitlands Museum Café focuses on locally-sourced, sustainable cuisine that is reflective of the heritage of New England. The cafe is conceived, planned, and run almost exclusively by chefs, cooks, servers and managers from our sister restaurant, the Gibbet Hill Grill. Since the Grill is not open to the public for lunch, we felt that this would be the perfect complement to our organization. We source our ingredients from local farms such as Gibbet Hill Farm in Groton and Verrill Farm in Concord. please call (978) 456-3924 x2. Group Reservations: We are happy to accommodate larger groups for lunch. For more information on lunch groups over 20 guests or regarding private events, please email timh@fruitlandsevents.com or call (978) 944-9799. Visit Fruitland Museum's Profile on Pinterest.